Like the proverbial boiling frog, these three suckers seem to have missed the opportunity to jump off the branch in due time, and now they must be thinking: “Hey, don’t be silly and do not even try to kiss any of us. We could not afford a single more gram even if that meant becoming a prince or a princess,” What a dilemma! there are circumstances when an upgrade is simply overweight! Don’t ask me why but when I saw these frogs I thought of the three wise men (Los Tres Reyes Magos), suddenly struck by misfortune and turned into frogs while on their way towards west. 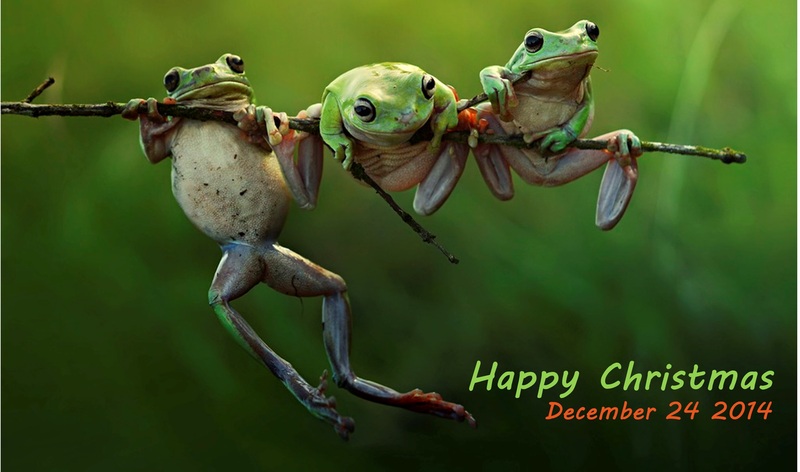 If I am right, next year there won’t be gifts on the day of Epiphany, January 6, unless somehow the three frogs manage to turn things around.